The creative process can be treacherous, even for the most experienced writer. 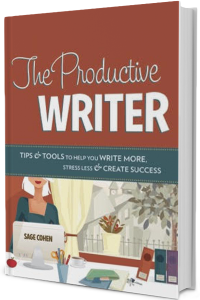 With this book, you’ll learn the systems, strategies and psychology that can help you transform possibilities into probabilities in your writing life. If you’d like to make the most of every writing moment you have and find opportunities where once you saw only roadblocks, The Productive Writer can help take you there. 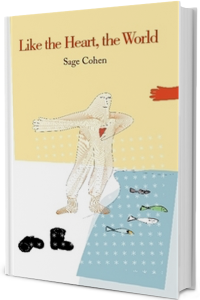 Sage Cohen’s first full-length collection of poetry explores the concentricities of inner and outer landscapes. Like the Heart, the World accompanies the reader through the blighted streets of New York losses, the oceanic melancholies of San Francisco and Portland’s orchestral embrace of the ripening, welcomed self. No one needs an advanced degree in creative writing to reap the rewards of poetry. 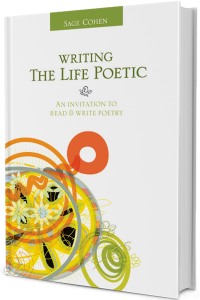 Writing the Life Poetic puts poetry back into the hands of the people–not because they are aspiring to become the poet laureate of the United States–but because poetry is one of the great pleasures in life. Writing the Life Poetic is packed full of captivating new ways to generate ideas and have fun with the writing process. 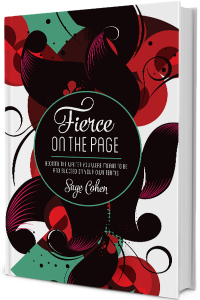 80 short, friendly chapters address a mix of content, process and craft ideas that can help anyone build skills and confidence in their poetic voice. Check out Sage’s portfolio of published poems, essays, fiction, articles and interviews, as well as her awards and recognition.